Poor performance, evaporator bacteria or low interior fan output may lead us to recommend an Air conditioning service. The air conditioning on your vehicle requires regular servicing to function correctly. This may be a re-gas, cabin filter or interior disinfect. If air conditioning is fitted, we will automatically carry out a performance check and advise on the results during every service. 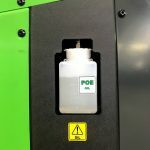 On every a/c re-gas, as part of a preventative maintenance plan, we add the correct specification of pag oil and inject a ultra violet dye to prevent expensive diagnosis should a leak develop in the future. 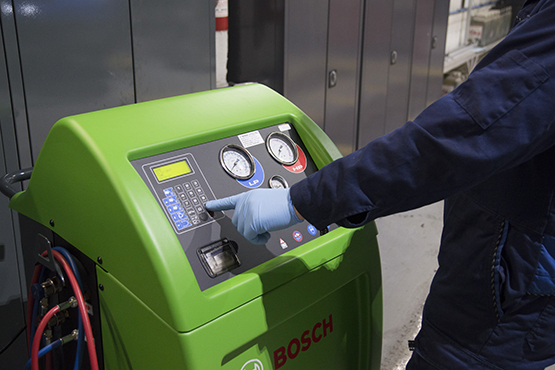 Due to the high demand, and in order to meet the requirements of our accident repair customers we have recently updated to the very latest Bosch R134a and R1234yf air-conditioning service machines, this allows us to service the latest generation of vehicles including hybrid and electric. 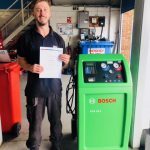 Having over 20 years experience in Air Conditioning service and repair we are able to diagnose faults, replace damaged components, recover refrigerant gas prior to repair and using some of the most advanced leak detection equipment, locate and repair very small leaks. 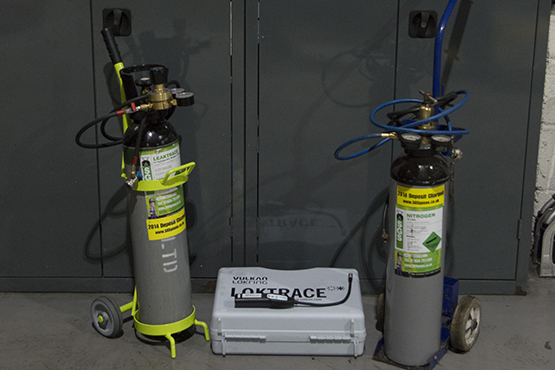 Modern a/c systems are using lower levels of refrigerant gas, this means performance is greatly reduced by losing even small quantities of refrigerant, vehicles manufactured after 2014 are using the latest R1234yf refrigerant which is considerably more expensive than the previously used R134a therefore making accurate and reliable leak repair even more important.